Approximately 100 million Americans suffer from chronic pain, according to the American Academy of Pain Medicine. And between 5 and 8 million people with moderate to severe chronic pain use opioids over a long period. Betts Tully was one of them. The Washington resident had dealt with chronic pain for more than 30 years, going from a low dose of opioids to increasingly higher doses as her pain got worse. This eventually led Tully to misuse opioids and spend years in recovery learning how to manage her chronic pain without the drugs. Tully’s story isn’t uncommon. But her experience is benefiting from a new approach to research that seeks to compare patient outcomes at pain clinics that have implemented opioid risk reduction programs to clinics that haven’t launched these initiatives. Patient engagement is an integral part of the study. Tully and eight others who have dealt with the effects of long-term opioid use comprise a patient advisory committee that’s helping researchers refine study questions and the research design. They’ve also helped determine what the study should measure, encouraging researchers to look at a broader data set that helped them draw more insights on the kinds of injuries that may lead to long-term opioid use. By sharing their unique perspectives with researchers, Tully and others essentially serve as study advisers, helping shape the study and ensure it has a solid grounding in the perspective of patients before researchers go into the field to gather data about the effectiveness of opioid risk reduction programs. You could call this method a sea change from the typical health care approach. Patient involvement isn’t often a part of the continuum from end-to-end, but this new approach — called patient-centered outcomes research (PCOR) — seeks to change that. PCOR is an emerging field that covers a wide range of health care topics, everything from curbing long-term opioid use, to the effect of a double mastectomy on women’s body image and stress during cancer treatment, to the impact of health coaching on empowering parents who have children struggling with obesity. With the increased emphasis on paying for quality care, PCOR is one emerging research approach that could expand evidence-based medicine. The Patient Centered Outcomes Research Institute (PCORI), which was authorized by Congress in 2010 to fund comparative clinical effectiveness research, is spearheading efforts to infuse more patient engagement into research. This could benefit local and state policymakers who have an interest in evidence-based care but have very diverse and disparate perspectives and facilities for accessing, evaluating and implementing evidence into policy practice. In 2017, Governing established a collaboration with PCORI to answer a straightforward set of questions about government’s role in promoting PCOR and using evidence-based practices. Along the way, the project turned into an extensive examination of the factors that affect health and illness in individuals and communities, the priorities and challenges of state and local officials responsible for improving health outcomes, and the extent to which their practices are patient-centered and evidence-based. 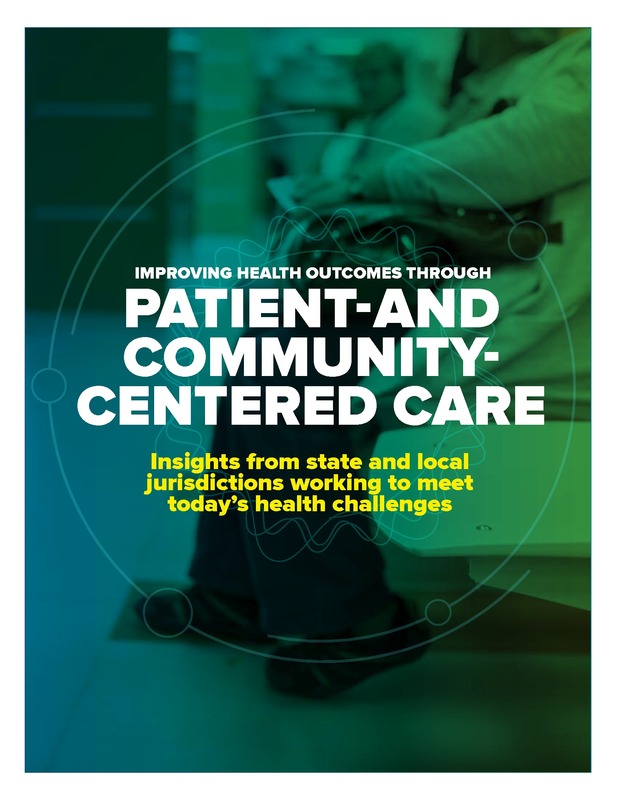 Governing recently released a white paper that shares the insights from its research and discussions with health care officials at three roundtables throughout the country. Following are the main issues identified within the paper to achieving more patient- and community-centered care. There needs to be more collaboration and coordination across the stakeholders involved in clinical and public health and also among health-related agencies and human services agencies. Many evidence-based practices require blending and braiding programs and services to address the array of issues affecting patients, including chronic health conditions and conditions associated with social determinants of health. A big part of health outcomes is determined by a person’s ability to engage in healthy behaviors — ranging from lifestyle choices to environmental and social factors. Reaching this level of patient-centered care can be difficult, however, given the siloed nature of the health care system. There is a lot of money in the health care system but most of it is allocated to clinical care versus addressing social determinants of health or managing chronic illness — key components of patient-centered care. "The alignment of funding streams is a big issue," says Jason Orcena, commissioner of the of theUnion County Health Department in Ohio and a Columbus roundtable attendee. “As long as we continue to cater to the contract entities that we are working with instead of the needs of the population, then we will always run into barriers." Dr. Rahul Gupta, commissioner of the West Virginia Bureau for Public Health and fellow Columbus roundtable attendee, made the issue relatable by asking, "How many times are we going to treat a bunch of kids for asthma before we bite the bullet and fix the public housing unit filled with mold?" A patient-centered or community-engaged approach is more likely to reveal the answer to questions like that posed by Dr. Gupta and provide the basis for how to activate different funding streams for the greatest impact. Without proper leadership, transformation is impossible. And often, leadership must come from the top. Leadership on a national level is critical, and Congress must look at making changes. State legislators also can provide leadership, but they often lack research on what works. When evidence is provided to them, it is frequently presented by vested interests offering biased information. Or, as noted through our research interviews, quality evidence can be difficult to find and decipher. As a result, legislation is regularly based on anecdotes and beliefs that may not be true, or practices that were established without bearing in mind the best interest or optimal outcome for patients. Giving elected and appointed officials better data and more education about how to interpret it is fundamental to developing legislation that supports more effective health care approaches, but the information needs to be framed in ways that connect it to broader concerns raised by their constituents. Issues related to accessing quality data, transforming data into actionable information, using tools to integrate data and analyze it, and getting staff and/or consulting assistance to do so, were all themes that ran through our research efforts. Experts spoke at length about being unable to access required data because of privacy laws, the misguided attitudes of colleagues in other agencies and the unwillingness of private sector partners to share information. Data consumers need better tools to help them recognize when data is skewed, or not comparing "apples to apples." Often, data consumers are not aware there are different levels of evidence. While each has a place in a policy discussion, they are not all equal. In addition, various perspectives affect the way information is evaluated. The culmination of extensive research and three recent roundtables held across the country is the basis for this in-depth look into some of the most pressing issues facing our health care system and how to address them. Timely housing assistance is crucial, but it can be tricky to overcome institutional barriers.